Sliced carrots and parsnips roasted until golden with butter and fresh oregano are deliciously sweet and flavorful; perfect for the holiday table. I’ll admit it, until a few years ago I never even tried a parsnip; which looks like a cream colored carrot. 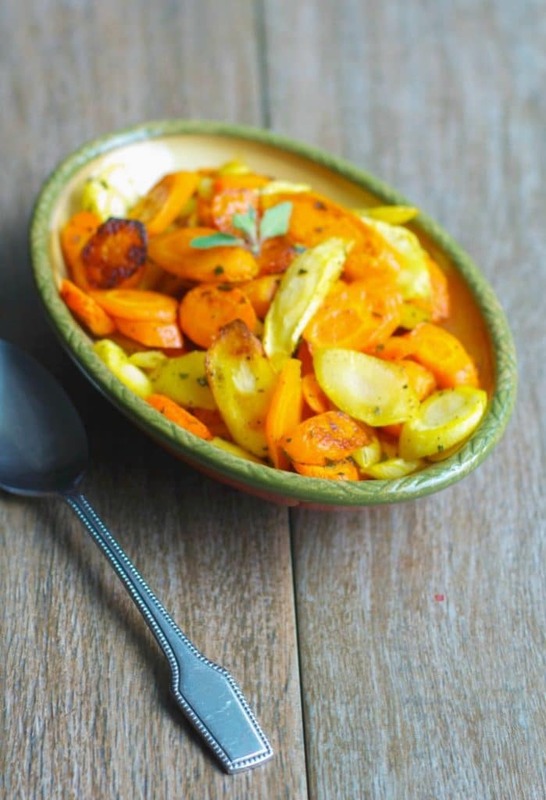 I love the contrasting colors it makes when combined with carrots in this recipe for Butter Roasted Carrots & Parsnips with Oregano. The parsnip was originally planted by the Romans and used as a sweetener before cane sugar, but wasn’t introduced in the United States until the nineteenth century. You can eat the parsnip raw; however, it is more commonly consumed cooked, and is especially high in potassium. By roasting the vegetables in butter, it gave them a sweet, nutty flavor as well. These would make a lovely presentation this year on your Thanksgiving table, yet they’re so easy to make, you can make this recipe all year long. ~Enjoy! 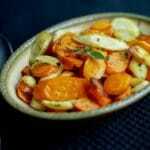 Slice the carrots and parsnips diagonally 1/2" thick and place them in a bowl. Add the butter, oregano and season with salt and pepper as desired. Mix well to coat the vegetables. 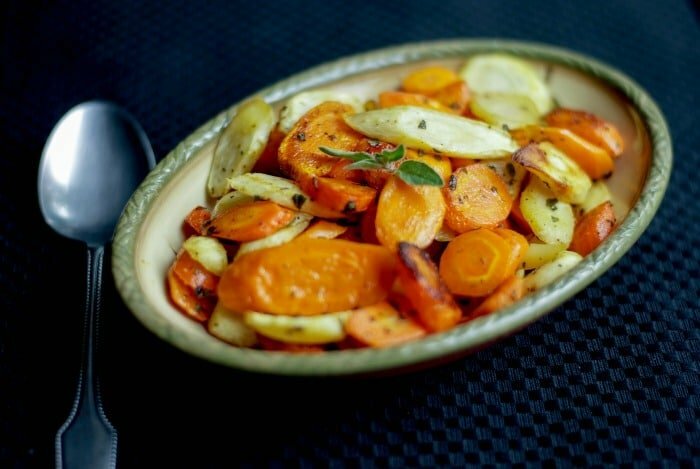 Add the vegetables to a baking pan and bake for 15 minutes; turning halfway through cooking. I’ve had parsnips in the farm share before, but it’s been a very long time. I may need to seek them out, as this dish looks so pretty! It’s not a vegetable we eat often either, which is why I mixed them with carrots so my kids would try them. Thankfully they were a hit!